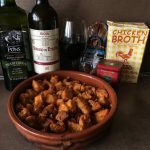 When the holiday season empties the wallet and expands the waistline, the new year can be an appropriate time to explore Cucina Pobre, simple meals shaped by frugality. Throughout history, Spain and France have had pockets of rural poverty and lower class urbanites living meagerly. With necessity being the mother of invention, every crust of bread or scrap of meat was used for tomorrow’s meal. Many of these dishes are still served today. See our recipe below for Migas. Olive Oils – A dollop of extra virgin olive oil is not only healthy but also elevates the flavor of any simple recipe. We now have Nunez de Prado Flower of the Oil back in stock. This exceptional EVOO from Baena, Spain is certified organic and unfiltered. “Flower of the Oil” is made from organic, perfectly ripe olives whose free run juice is collected after the olives are crushed and before the first cold press. A blend of 14 olive varieties principally Picuda, Picual and Hojiblanca, with intense flavors of green apples, almond and burnt orange. From Casa Pons three monovarietal extra virgin olive oils are in stock. Arbequina is a fruity oil which is excellent with vegetables; Picual is an intensely flavored oil, best for frying or roasting; Hojiblanca has a fresh, mild flavor, with a light peppery finish, excellent with pasta or rice dishes. The monovarietal oils allow the cook to add a specific flavor to each dish. Pajarero Figs are back in stock. An integral part of Spanish cuisine, the Pajarero fig was introduced by the Moors. Smaller and sweeter than its cousin from Turkey, its thin, delicate skin allows the flavor of the fig to really shine. They are a perfect snack and a great addition to a cheese plate. Try them with blue cheese! Dried beans are affordable, healthy protein. French Flageolets Verts are a variety of white bean picked before full maturity to maintain its green color. These kidney-shaped beans have a creamy texture and a delicate flavor. Traditionally served with lamb, they also make a perfect side dish with fish, poultry or as a main vegetable dish. Paris Bistro Blend is a French-style blend of beans, lentils, split peas and barley, grown in Idaho. This blend makes a hearty soup with seasonal vegetables. Customer favorite! 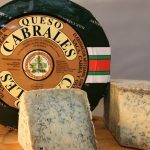 Cabrales Blue Cheese – We just cut into a new wheel of this Spanish sheep’s milk cheese. Wow! This wheel is aged to perfection; come and get some now!! Use Cabrales in a winter salad of Gala apples, roasted Marcona almonds, arugula and baby spinach with a dressing of sherry vinegar, Spanish EVOO, shallots and Fallot walnut Dijon mustard. 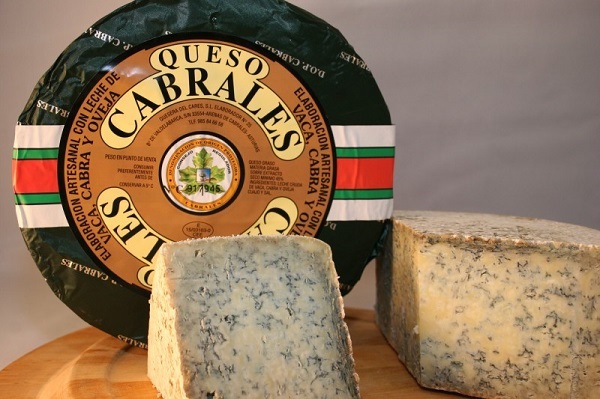 The creamy, slightly piquant flavors of Cabrales will make a phenomenal flavor counterpoint. 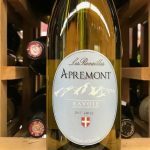 Pierre Boniface Les Rocailles Apremont Savoie 2017 ($14.99) Made from the local white Jacquére grape, this mountain wine is grown on the flanks of the Alps. A terrifying landslide in the 13th century scattered limestone across the area, killing thousands and driving settlers away until the 18th century when vignerons recognized the potential of the soils and began planting grapes. Les Rocailles is Pierre Boniface’s signature wine. With delicate aromas of honeydew melon and white flowers, it is feather-light and extremely refreshing. 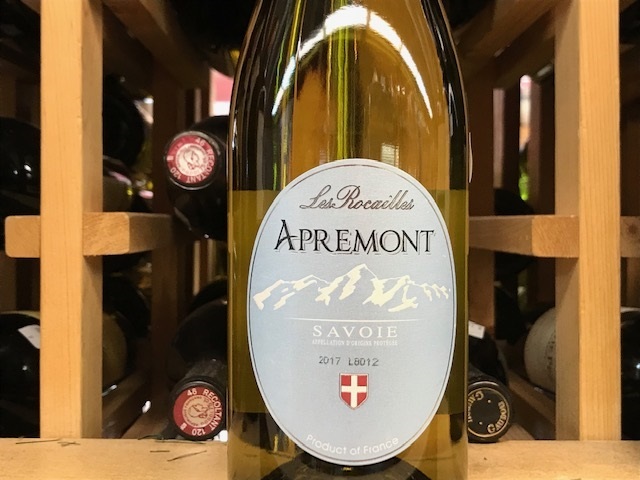 Bright with a purity of white fruit, it has a clean finish with a touch of mineral. Excellent with Raclette! 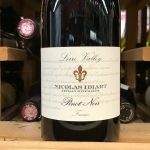 Maison Idiart Pinot Noir, Loire Valley 2016 ($10.99) Winemaker Nicolas Idiart crafts wines in three distinct zones of the Loire. He rents vineyards on long-term contracts and makes his artisanal wines in a friend’s cellar, to keep his costs low. The 2016 Pinot Noir is a pure expression of the grape. Aged in neutral oak for 8 months, it offers up juicy cherry aromas. 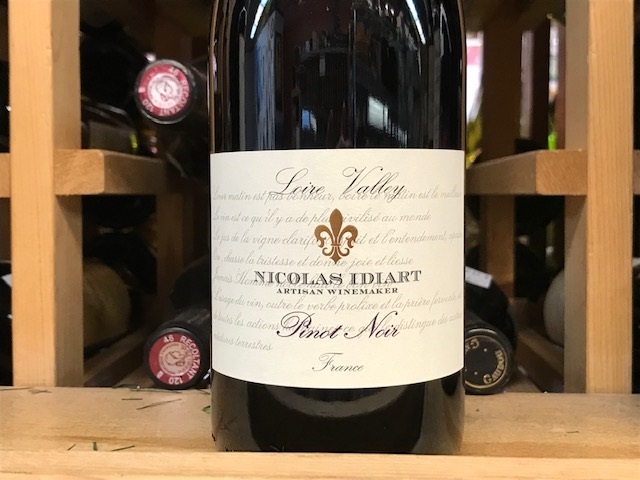 Bright and floral with hints of mushroom and spice, this is a classic bistro wine that is great with charcuterie or salmon. Migas is a rustic Iberian dish using stale bread. There is a tapa bar in Madrid we stumbled into our first time we were there, La Mi Venta, near the Royal Palace that specializes in migas. I still insist on visiting this bar every time we are in Madrid. Migas sustain the soul. It is the food of peasants, fashioned from what is left as the larder becomes threadbare. Crusts of stale bread, scraps of cured meats, some onion and garlic, a spoonful of pimentón, moistened with well water and fried all together in olive oil. The first night we were there, in 1985, the owner’s five-year-old daughter sat on the jukebox in her ruffled cotton dress and laughed at the four Americans trying to pronounce the names of tapas. She would be twenty-something now and I hope she raises all her children on migas. In Spain, this is a dish made of leftovers. So don’t worry too much about the measurements or ingredients. Heat the oil in a lidded 10-inch cazuela and fry garlic until just golden. Add the jamón and cook until fat is rendered. Add the chorizo. When chorizo is sizzling hot, add onion, cook until translucent. Stir in pimentón and cook for a minute. Add bread cubes and toss. Add ½ cup chicken stock and toss. Sprinkle the remaining ½ cup chicken stock over cubes and cover (if using a regular cazuela without a top, cover with foil). Bake in 350º oven for ten minutes. Remove foil and bake an additional ten minutes. This is a pretty uptown version, using chicken stock but tap water works fine. As I said, in Spain, this is a dish made of leftovers and scraps, so don’t worry too much about the measurements or ingredients, experiment. If migas are stuffed into a sausage casing, it is farinato. Thanks for reading, and come down and see us. It’s so peaceful on Western Avenue without the vehicle traffic on the viaduct. Enjoy the ambiance!